HeartLander is a miniature mobile robot that delivers minimally invasive therapy to the surface of the beating heart. 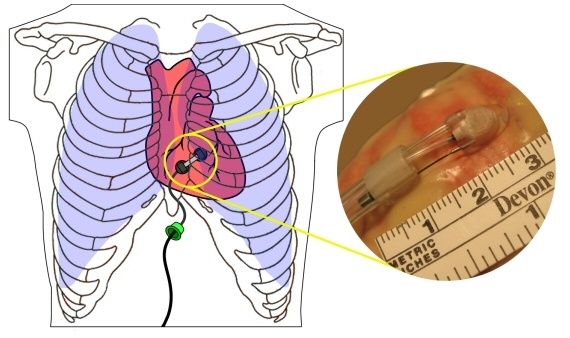 The novelty of HeartLander is that it provides a single device for stable and localized sensing, mapping, and treatment over the entire surface of the heart. Additionally, it reduces the damage necessary to access the heart.